I will be there for a long week end, and it will be my first time. John Fleer's food is supposed to be pretty fantastic. Tell me all you know! Bingo! Slam dunk as well! thank you! that thread is of great help...I am working a SFA event this week end there, and I'm glad to have a better mental picture of the place. My friend, who honeymooned there, simply raved about the food .. not about her new groom, mind you, but the Inn at Blackberry Farms .. I understand that John Fleer, the chef, is leaving. A huge hit for the operation as he was the soul of the food. I had the opportunity to work with fleer at blackberry. Spent almost a year there and it is everything its reputation says it is. There is something about the experience there that cannot be described in words it just has to be lived. The best all around service of anywhere I have ever been, including 3 michellins and others. If fleer leaves that will be a huge loss, but the belles(sp) put that ship on the path and with its reputation they should be able to fill his position with another excellent chef. It will seem very wierd not hearing about the two together though. Met Mr. Fleer last October and thought he was a top notch guy, but unfortunately was not able to spend enough time with him. FWIW, I've worked in the French Laundry and in the Blackberry Farm restuarant and the BF restaurant is no TFL...imo. You should have a good time phlawless. yes yes yes...a good time was definitely had. 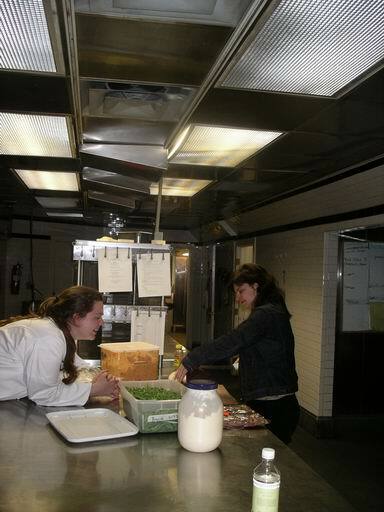 working with chef fleer (his last days) and his staff was great. also getting to hang with some other pretty amazing talent didn't hurt either: hugh atchison from 5 and 10 in athens, mike lata from FIG in charleston, corbin evans from savvy gourmet in NO, john currence from the city grocery in oxford...amazing food from all of them. then the inn and farm itself...wow. someday maybe I'll be able to afford to go back...someday. Hey, Phoebe! You are welcome back any time! We loved having you. My staff is still talking fondly about your banana buttermilk ice cream! Yes, John is gone and it is incredible how much we all miss him. But Josh Feathers, his Exec Sous for the last 3 years is taking up where he left off. The future looks bright. 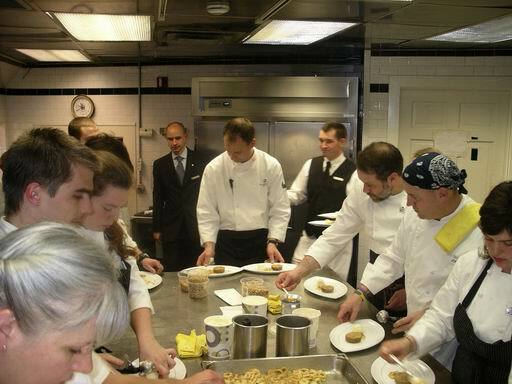 I was lucky enough to get a guest chef gig at Blackberry about 7 or 8 years ago and it was absolutely first class. John Fleer is a very good man and a great chef and I wish him all the best! John Fleer is my hero!!!! Thanks, Maggie...it really was a pleasure to meet you all. Well said! Fleer is truly an ACE! We miss you boss. Oh yeah, that phlawless makes a mean late night pimento cheese sandwich!! I hope the Beard folks recognise that John Fleer IS the best chef in the south east. We already know it. I am curious. Is John returning to NC? Does anyone know what his plans are? I have been fortunate to know John and enjoy his cuisine and knowledge at Blackberry and would like to keep up with his future endeavors. Nice pics green oil..those sandwiches rocked! What ever Fleer decides to do will be great...He'll have a James Beard award in one hand and a High Life in the other. That's a picture I want to see. Maggie! Mind PMing the oatmeal cream pie recipe to me? I'll love you forever.